August 25, 1982, What Time Is It? was released. Share your memories here. I think it's probably The Time's best record front to back. Damn. I thought this was going to be about a remastered version being released today. The Walk and Gigolos Get Lonely Too are classics but I still prefer Ice Cream Castles as an album. This is,without question,the Time's best and strongest album. I went crazy when I first heard "777-9311" on the radio in the summer of '82.That song is a funk masterpiece! Prince's guitar solo is brilliant. "The Walk" is my absolute favorite Time song....funky and fun,with the hilarious spoken skit near the end......"damn baby...how'd you get all that in them jeans?" this is Morris Day at his coolest! The album has a wild party feel throughout,but on the last two tracks,it seems that Morris gets serious (the excellent "Gigolos Get Lonely Too" and "I Don't Wanna Leave You"). A few years ago,I went to Record Store Day and purchased the reissue of this album on green vinyl. I got the biggest grin. Sorry no exciting story to share but kinda reliving the time (no pun intended) to myself. I love this album. It was instrumental in getting me into Prince. Whenever I play it, it reminds me of carefree summer days out in San Francisco, particularly Gigolos Get Lonely Too. I get the bassline from 777-9311 stuck in my head all the time... It's a monster. Who remembers the B-side "Grace"? our local R&B station used to play it right before they played "777-9311".I believe that's Vanity doing the "interview" with Morris. It is not Vanity doing the interview. She doesn't sound like that. Does anyone on the org know who the interviewer is? yeah you're right,it really doesn't sound like Vanity.I wonder who it could be.Princevault says Vanity,but now I'm not so sure. Grace was released as the b-side of 777-9311, the first single from The Time's second album What Time Is It?. 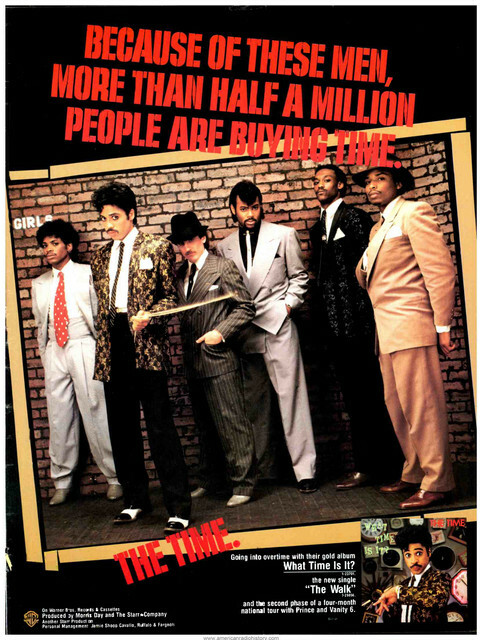 The song uses the musical backing of 777-9311 as its basis, with a staged interview between Morris Day and a fictitious journalist known as Bridgette Harrington (played by Vanity) overlaid, and was written and produced by Prince, although the song is officially credited to Morris Day. 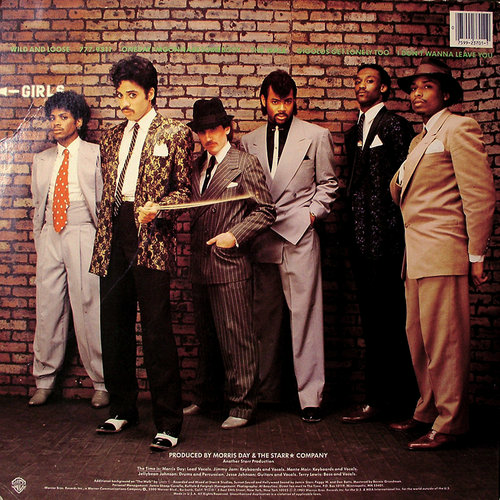 Morris Day insists on calling the interviewer "Grace" throughout, giving the track's title. 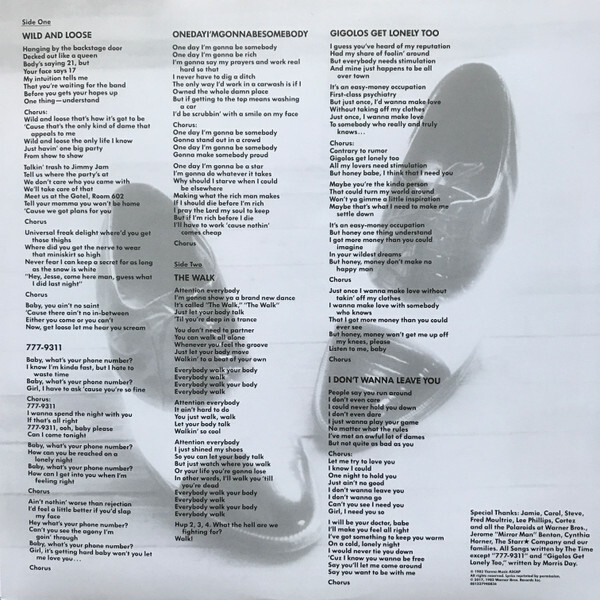 While specific recording dates are not known, basic tracking of 777-9311 took place in May-June 1982 at Prince's Kiowa Trail Home Studio in Chanhassen, Minnesota (during the same set of sessions that produced Onedayi'mgonnabesomebody, I Don't Wanna Leave You, and several other tracks that were released over the next several years). It is likely that the interview portion was recorded soon after, also at Prince's Kiowa Trail Home Studio, although this is unconfirmed. Could it be Sue Ann Carwell? 4 old timers: how many of you knew/suspected Prince was behind it to the extent he was behind it at the time? I've said it a million times, and I will say it again: you can make an argument that from a production standpoint, What Time Is It? is the best Prince album ever. Perfection. Initial tracking took place on 14 January, 1982 at Sunset Sound, Hollywood, CA, USA (three days after Bold Generation and Gigolos Get Lonely Too, the same day as The Walk, and the day before Colleen), during sessions for The Time's second album What Time Is It?. It was intended to be sung by Morris Day, but Prince reclaimed the song to use on 1999 instead. 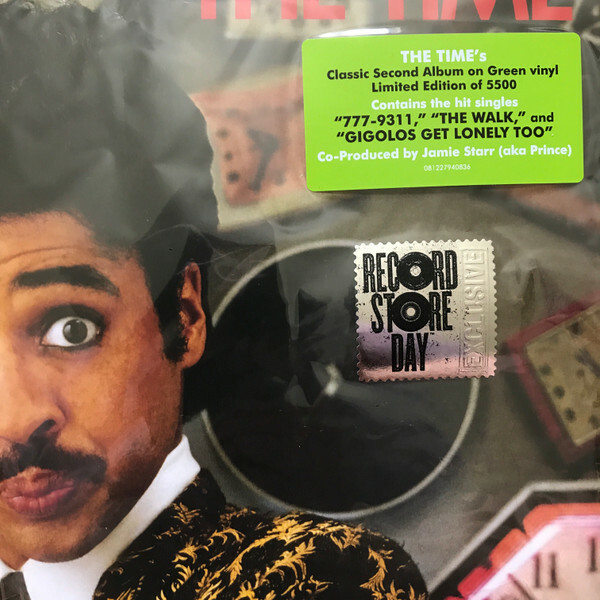 It is likely that Morris Day recorded vocals for the song during these sessions, but this is unconfirmed. Damn. I thought this was going to be about a remastered version being released today. The Walk and Gigolos Get Lonely Too are classics but I still prefer Ice Cream Castles as an album. My Drawers (the song, not my actual drawers), Jungle Love, The Bird and If The Kid Can't Make You Come are all classics and still get regular airplay in my house. "What Time Is It?" is a fantastic album, The Walk and Gigolos Get Lonely Too are two of my favourite songs of all time. But for me, Ice Cream Castles just has something the others don't. I can't put my finger on it. It's comparable to how I prefer Controversy to Dirty Mind. Same kind of thing only more accessible, maybe. Wow,for me it's the opposite I think What Time Is It? has it all.I think of it as the quintessential Time album.It has a fun 'party vibe' that is missing from Ice Cream Castles. wow,was "Turn It Up" really intended for the album at this early point? I'd love to hear those other tracks....."Bold Generation","You're All I Want"
It's called "The Walk," "The Walk"
Hup 2, 3, 4, what the hell are we fightin' 4? Walk! I want all of Detroit City 2 stand up, clap your hands! Say, hey baby, where U goin'? What do U mean "Let's just take'em off"? Uh, U always keep lingerie in your glove department? Here, why don't U lay down? Stop tryin' 2 tell me things and pull! Damn baby, how'd U get all that in them jeans? I know that's right, mmm! I guess the tag goes in the back, huh? OK, OK, how do I look? Almost as good as me, now let's go! Hey Morris, what time is it? I'll introduce U 2 a headache if U don't get out of my face! In other words, meet me at the bar in 32 measures, cool? And if U're good, I'll let U work the stick in my ride, waa ha ha! The Walk" opens side two of The Time's second album, What Time Is It?. 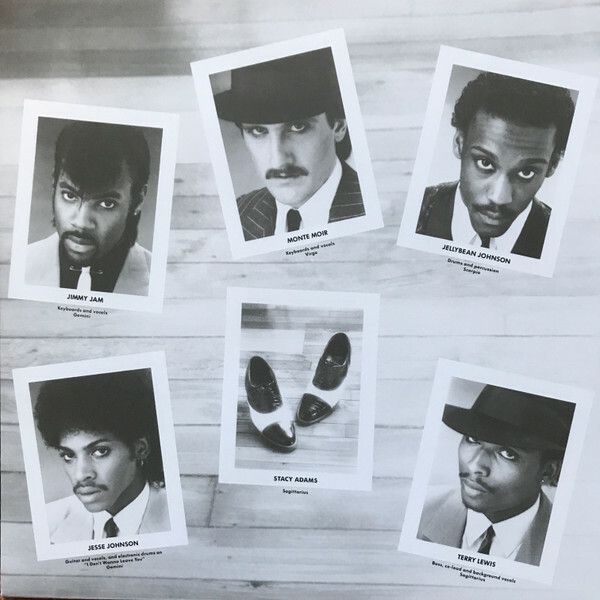 Recorded for the album at Sunset Sound in January 1982, the song was produced, arranged, composed and performed by Prince with Morris Day later adding his lead vocals and Vanity 6 providing some backing vocals. The funk song opens with a brief drum fill and has several throughout the song, along with drum machines. The beat is somewhat of a march, which is emphasized by Day during the song's break by mimicking an army chant. The "walking" bass of the song is perhaps inspired by the song's title. The keyboards take an important roll, as well as plenty of rock guitar. Despite the song being performed nearly entirely by Prince, several band members are called out throughout the song (Jellybean Johnson and Terry Lewis) giving the song a live feel. The ending of the song is a humorous conversation between Morris Day and one of the Vanity 6 members. Prince himself also makes an appearance as an Italian club owner.